by Murali | rantings from the world of PR, Social, HR…. Text as a communicator of huge tragedy? Flight MH370 went down in the southern Indian ocean, a place on earth where its remotely possible to even recover the last pieces of debris of the ill-fated Malaysian airlines plane. No words will help the real grief of the families of the crew and passengers of that plane. While it’s certain that we all must sympathize with the Malaysian authorities who are managing the situation, the same can’t be said of their communication methods in the whole event – at least one of them! The authorities may be in a fit of urgency to communication a latest development, went about to send a mobile text message to the families of those who were looking for answers for where their dear ones and the plane went missing. 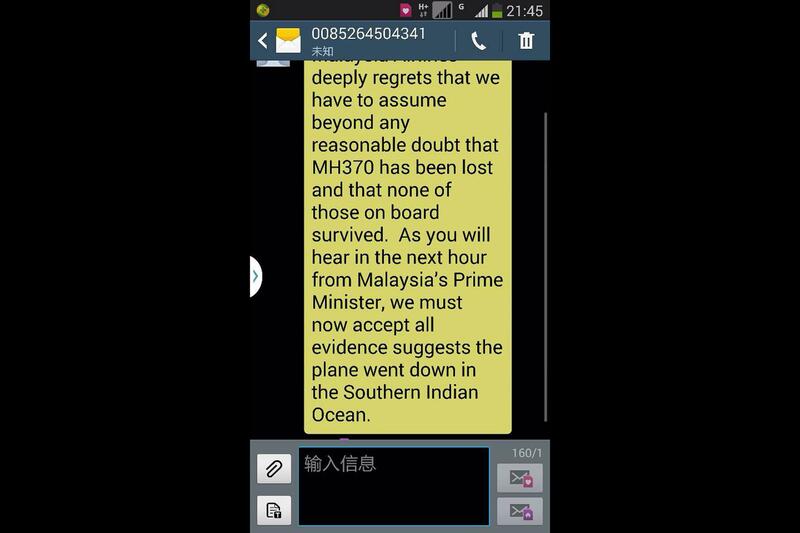 The Malaysian PM was to have a presser on the whole plane going down one hour later, and this message hit all the relatives who were grieving and waiting with bated breath. In a tragedy of untold proportion, and in a situation when people have almost waited for weeks with almost no or inconsistent information, why on earth would someone jump the gun and send a text message, curt with the message that their dear ones ought to have perished? In a tragedy, the medium ought to personal, and not a standard machine language. And in one where the stakeholders were almost living in hope for weeks, such a text is the last thing you do, as a communicator. Is Indian culture a stumbling block in PR news jacking? Why is news-jacking not catching up in India? Sensibilities, lack of innovation or no buy-in from clients? Or do Indian marketers feel that its a safer bet to tread on beaten paths? Going by the scarce extent to which news-jacking in PR or marketing is practiced in the Indian subcontinent, one can only assume that its a mix of all these factors. Will you newsjack more often now? Surprisingly though, the PR and marketing fraternity has not taken cue from 2 things. The pioneer for news-jacking is our own Amul brand. Their witty and thoughtful, and almost daily topicals are best practical examples of news-jacking. When they did it first, they would not have imagined that what was done in a simple easy to reach way will become “news-jacking”, pioneered by David Meerman Scott. 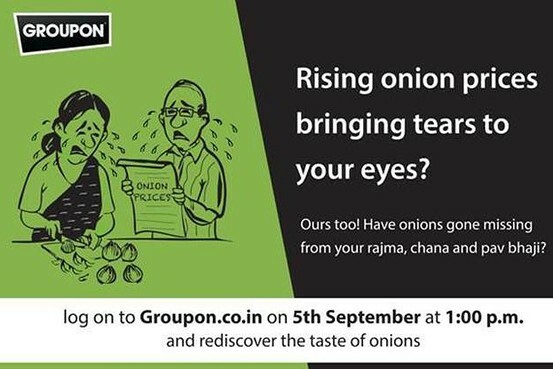 Groupon, through its Indian site achieved a near 10 and immense marketing/PR mileage by there recent campaign, selling Onions at a huge discount, newsjacking the spiraling prices of the commodity in the capital region. Just Google, and you shall find how every possible event from the US presidential election, to Hurricane Sandy, and not so recently, the Royal baby have been news-jacked – ensuring unimaginable marketing mileage – which would cost very high in other means! Are we missing a huge opportunity in India, by not news-jacking enough?